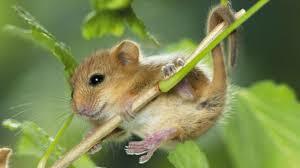 Dormice, which live mainly in trees or shrubs, have been having a bad time crossing roads and railways of late. 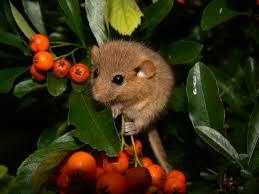 This has had a very detrimental effect on the dormouse population being able to breed. So various organizations such as "The People's Trust for Endangered Species" and "Wildlife Bridges" have thought of a way to help them. They have built arboreal bridges, made out of ropes and poles, stretching across the roads and railways to allow the dormice to scuttle from one wooded area to another. Where these bridges have been made, the results seem to have been very successful, and the dormice are now having a good time. dressed in clogs, a woollen shawl, a woollen shirt. put potatoes in my apron, worn over muddy skirt. the swaddled, crying babe, until our work is done. the lonely peewit calls from the eerie marsh. and hope arose with thoughts of coming spring. Hello! You're right. I love this one. I want to find a picture of the dormouse bridges. What a wonderful idea. And I love the poem too. Is it from a real painting? Well, I've had a quick look online and indeed, lots of very expensive dormouse bridges have been built - happy dormice but not so happy taxpayer!! Anyway, I'm on the dormouse' side! These are wonderful musings, mullings, poems Trish.